Geoffrey Colon is a Communications Designer and Social Data Expert at Microsoft. Prior to joining Microsoft in 2013, Geoffrey was vice president of digital strategy at Ogilvy & Mather. Geoffrey has spent 20 years in various marketing capacities working for and with several of the most influential brands including Red Bull, Spotify, Netflix, American Express, The Economist, Coca-Cola, and IBM. He spent a few years in the New York City tech startup world and several years in the music industry as DJ Geoffe where he released over a dozen commercially available house music compilations. He has also worked with several high profile musical artists including Britney Spears, Christina Aguilera, The White Stripes and Moby. 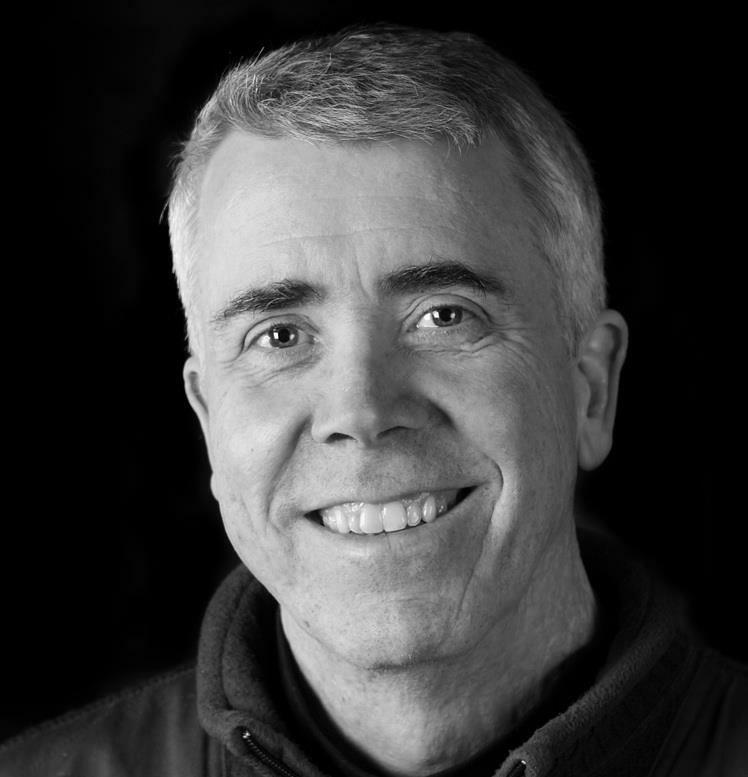 Geoffrey has written for or been quoted in various publications and media outlets including Fast Company, The Guardian, NPR, Wall Street Journal, Billboard Magazine, Advertising Age, Digiday, The Los Angeles Times and is an avid speaker on the global marketing conference circuit. 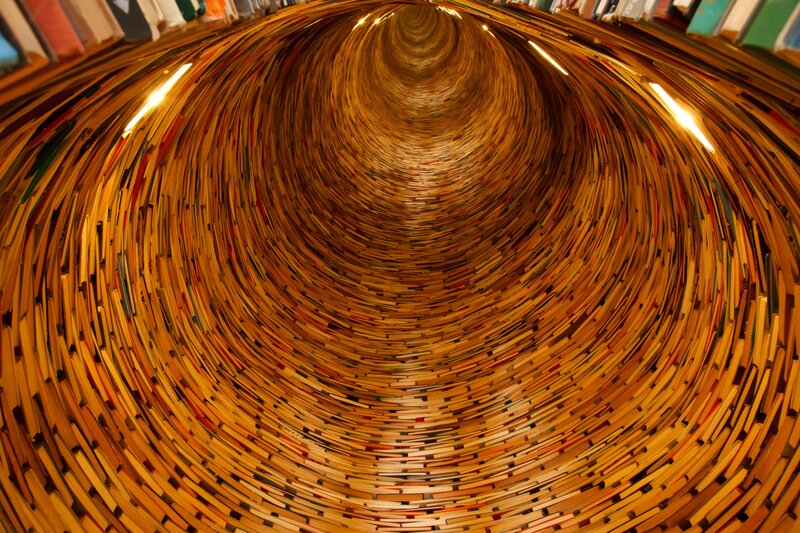 If you’re a marketer, you already know that the field is changing dramatically. A study by Adobe found that 76% of marketers think marketing has changed more in the past two years than the previous 50. And it’s not just marketing that’s changing. Since 2000, over half of the names on the Fortune 500 list are gone, either as a result of mergers, acquisitions or bankruptcies. And the pace of change is accelerating. In 1960 the average age of a company on the S&P was 60 years old. By 2020, the average age of S&P firms will continue to shrink to 12 years old. Nowadays, even the smallest startup can overtake a large Fortune 500 company because of disruptive, non-traditional Digital Darwinism. This book is like a lit Molotov cocktail being thrown on the barricade of the sclerotic traditional marketing that is holding companies back as their upstart competition eviscerates them. If you are a traditional marketer in a comfortable job who feels that you’re career path is safe and secure, you’re not going to want to read this book. But if you want to see where marketing is truly headed, and you can handle the truth, I guarantee that you will look back on reading this book as a milestone in your career. 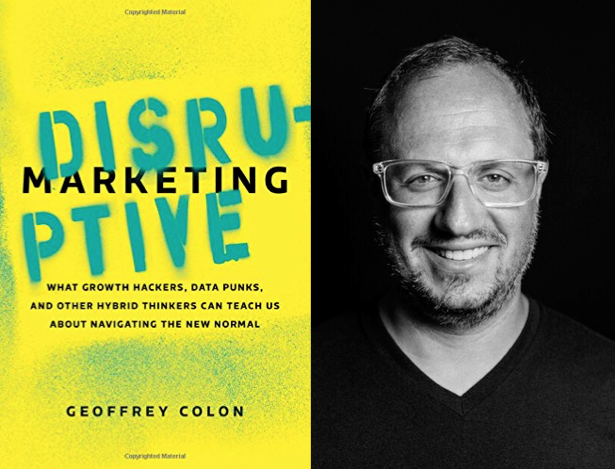 In the book, Geoffrey Colon walks you through all the change that has occurred, but more importantly points to where the future of marketing is going. 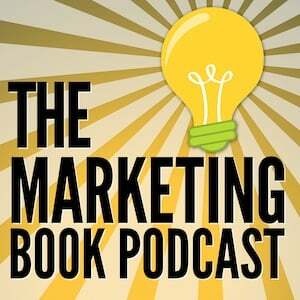 He includes sections on the mindset and skills of successful future marketers, the end of the marketing department, the building blocks of disruptive marketing and the rules for disruptive marketers. The book will help you discover why disruptive marketing and growth hacking will ultimately replace conventional marketing.